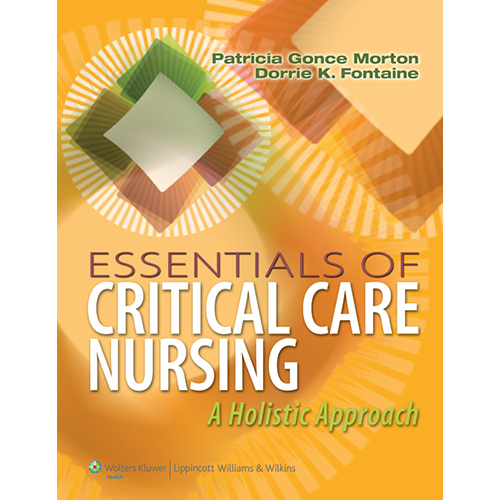 Essentials of Critical Care Nursing: A Holistic Approach focuses on the most common disorders and technologies encountered by a critical care nurse today. It includes enough depth to enhance the reader’s full understanding of important topics and fully prepares the student for practice. The clear, concise writing style assists students in understanding the pathophysiological basis for illness and the strategies the critical care nurse uses in assessing and managing patients. This text contains information about important psychosocial concepts, legal and ethical issues, history and physical examinations, key laboratory and diagnostic tests, as well as key nursing interventions used in critical care. Drug Therapy tables summarize information related to the administration and monitoring of drug therapy such as adverse effects, contraindications to use, measures that should be taken before administering the drug, as well as how to monitor a patient receiving the medication. Diagnostic Tests tables present significant diagnostic test information including the purpose and method of testing, normal values, abnormal values, and nursing implications. The Older Patient notes, appearing within the flow of the text, highlight information related to assessing and caring for older patients in the critical care setting. Red Flag notes, also appearing throughout the text, highlight information that will help a critical care nurse recognize a serious problem or life-threatening change in a patient’s condition. Collaborative Care Guides contain outcomes and interventions and describe how the health care team works together to manage a patient’s illness and minimize complications. Evidence-Based Practice Highlights help the reader to understand the importance of research-based practice and its implications for nursing. Health History boxes summarize aspects of the history that are important to explore to gain insight into the patient's current critical health problem.